Since 1934, Jerome and Summey has written business insurance policies throughout North Carolina, South Carolina, Florida, and Georgia. Our experienced staff and solid industry relationships create a valuable insurance resource for your business. Jerome and Summey provides business insurance coverage for all your company’s needs. As a Trusted Choice independent insurance agency with access to reputable companies, we have access to countless options that fit your pricing and payment requirements. Some of the insurance companies we work with are General Casualty/QBE, Auto-Owners, GMAC, Utica National, Travelers, Builders Mutual, Liberty Mutual, and Progressive. Insures against damage to buildings and contents due to a covered cause of loss, such as a fire. The policy may also cover loss of income or an increase in expenses that results from property damage. Protects against liability claims for bodily injury and property damage arising out of premises, operations, products, and completed operations. Also, can provide protection against claims of libel, slander, copyright infringement, invasion of privacy, or false claims in company’s advertising communications. Covers a company’s use of cars, trucks, vans and other vehicles used to carry out business. Coverage may include vehicles owned or leased by the company, hired by the company, or employee-owned vehicles used for business purposes. Provides wage replacement and medical benefits when employees are injured or killed while working. Also referred to as “excess liability,” provides coverage when a liability claim goes above the maximum aggregate limit and after a basic policy’s limits are exhausted, and protects your business from being held responsible for payment in a judgment. Also commonly known as “Errors & Omissions,” protects individuals and businesses that offer professional advice from bearing the full cost of defending against a negligence claim and from paying damages awarded in such a civil lawsuit. Guards ccompanies and their workers or individuals from claims made by clients for inadequate work or negligent actions. These policies often cover both court costs and any settlements up to the amount specified by the insurance contract. Anyone who serves as a director or an officer of a for-profit business or non-profit organization may be at risk of a personal claim due to that position. This type of policy defends these individuals against personal losses. It can also help reimburse the business or nonprofit organization for the legal fees or other costs it may incur in defending those individuals against a lawsuit. Ensures protection from losses resulting from business-related crime. Protection can cover merchandise, money or other property loss when a company is victimized by embezzlement, forgery, robbery, securities theft or another form of business-related crime. Also known as “financial guaranty insurance,” it guarantees scheduled payments of interest and principal on a bond or other security in the event of a payment default by the issuer of the bond or security. A special general liability insurance policy form that protects organizers or sponsors of an event from claims for an injury to a spectator or property damage while at events, such as weddings, fairs, tournaments or sporting events. Coverage can also be written to include host liquor liability coverage. First- and third-party coverage minimizes legal fees and costs related to computer-forensic investigations in the event of a security or privacy breach, loss of digital assets, cyber-extortion or cyber-terrorism. 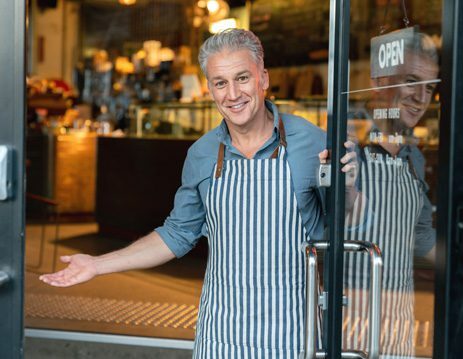 Jerome and Summey provides business insurance coverage for all your company’s needs. Commercial property, commercial general liability, commercial umbrella, and commercial auto are the cornerstones of our protection plan for many businesses. In addition to these policies, we also provide workers’ compensation, bonds, professional liability, errors and omissions, directors and officers liability, crime coverage, special risk coverage, and special event coverage. In particular, we specialize in insurance for all types of property management needs. This includes homeowners associations and condominium associations. We also insure restaurants, hotels and motels, and rental cabins. If you work on these types of properties, we’re here for you, too. Our clients include many artisan contractors such as plumbers, electricians, and HVAC services. As an Trusted Choice independent insurance agency, we have access to policies from a number of different carriers. We’ll shop around with companies like General Casualty/QBE, Auto-Owners, GMAC, Utica National, Travelers, Builders Mutual, Liberty Mutual, and Progressive. That gives us countless options for policies that fit your pricing and payment requirements. Unlike insurance agencies that represent only one line, we have the freedom to find the right insurance company that will meet the needs of your business. As you can see, the team at Jerome and Summey has the knowledge and dedication to serve all of your company’s insurance requirements. Our business insurance agents have over 70 years’ combined experience serving commercial clients. Plus, as a local company, we’re always here when you need us. We believe in building relationships with our clients that will last for years to come. Contact our commercial lines department to get the protection your business needs.